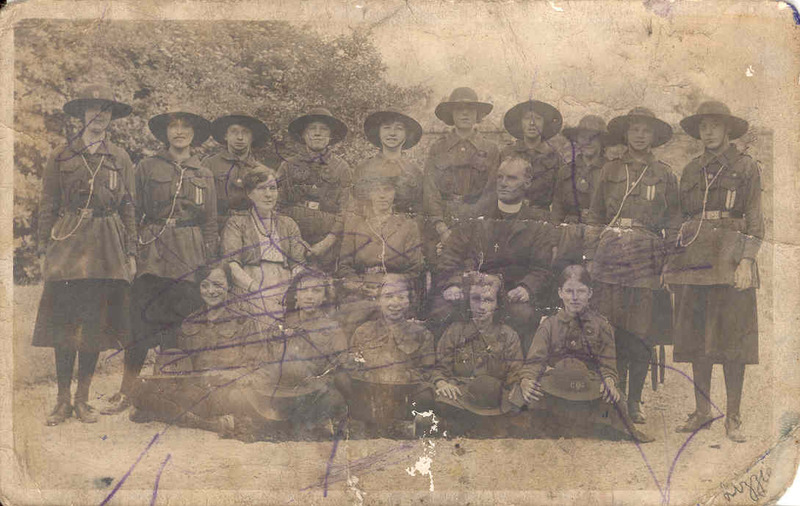 Killamarsh Girl Guides c1918. See note below. Photo courtesy of Mrs D Bower. Killamarsh Girl Guides c 1918. Back row: ??, ? ?, ??, ? ?, Elizabeth Storey, ??, ? ?, ??, ? ?, Annice Storey. Front row: ??, ? ?, ??, ? ?, Alice Taylor.